Hopefully you have had a go at experimenting with the fray effect. Lets take this one step further. 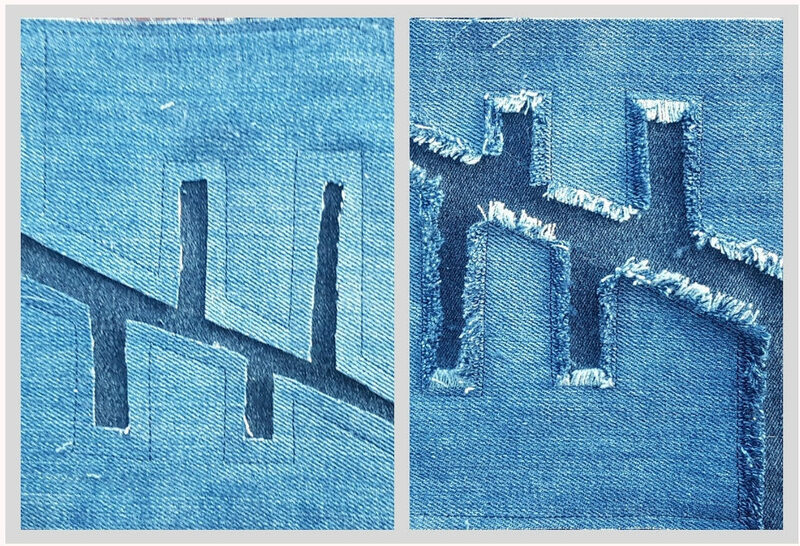 Cut 2 pieces of recycled denim (from your jean legs) approx 6 x 6 inch. 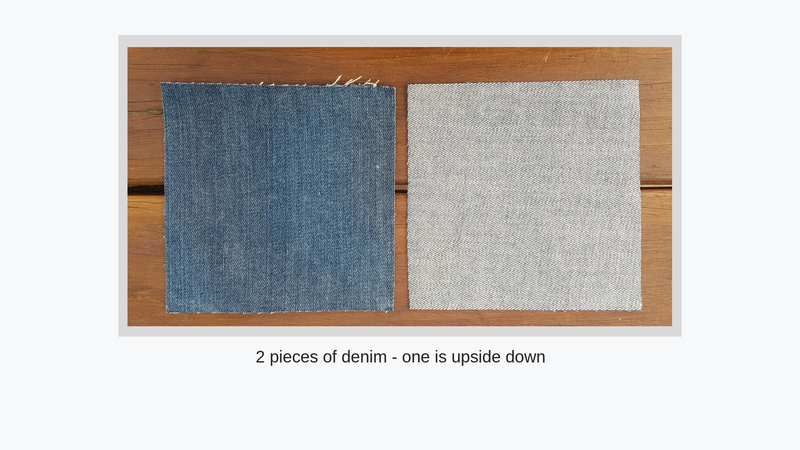 I would use either 2 different coloured jean legs to give contrast or if using the same jean leg – turn one upside down. Lay the two pieces on top of each other and draw a basic design on the top piece. 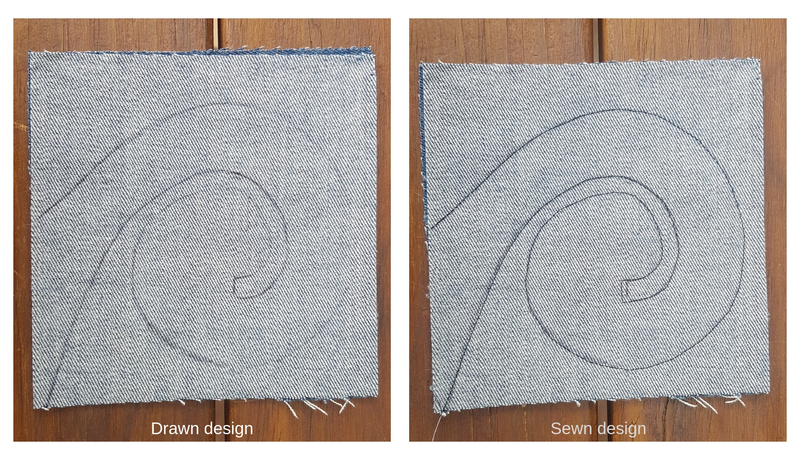 Stitch along the lines of your drawn design – stitching through both layers of jeans. Fray to your stitched lines. Note – as you can see in illustration below – it is difficult to fray on an inside curve. 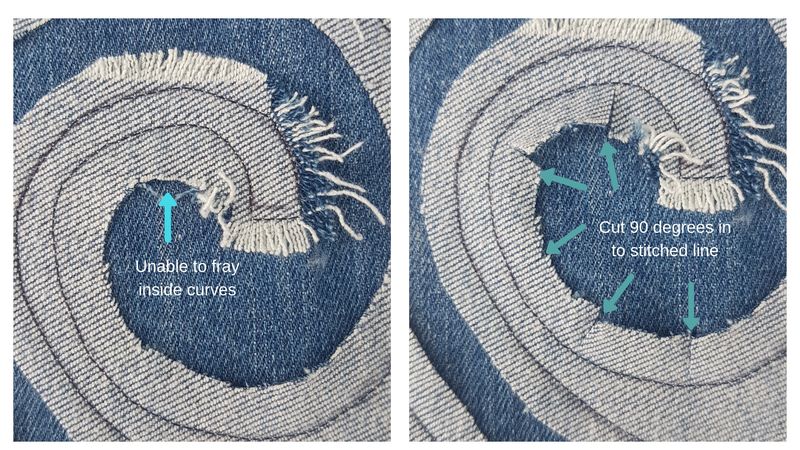 To be able to fray an inside curve, carefully cut in towards your stitch line at a 90 degree angle. Once you have frayed around your design it will look rather messy with long and short pieces of threads. Rub and fluff and then trim with sharp scissors approx 1/4 inch from your stitched seam. 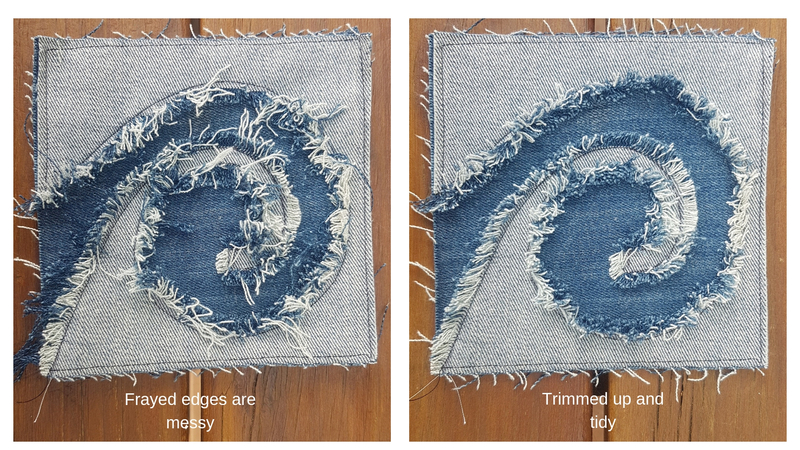 Keep experimenting with different samples – have a go at doing straight lines along the warp and weft – or straight lines on the diagonal or bias. The thing is have fun experimenting. Every sample can be added to your bag in one way. If your having fun along this journey or need further clarification on any points – please leave me a comment below.